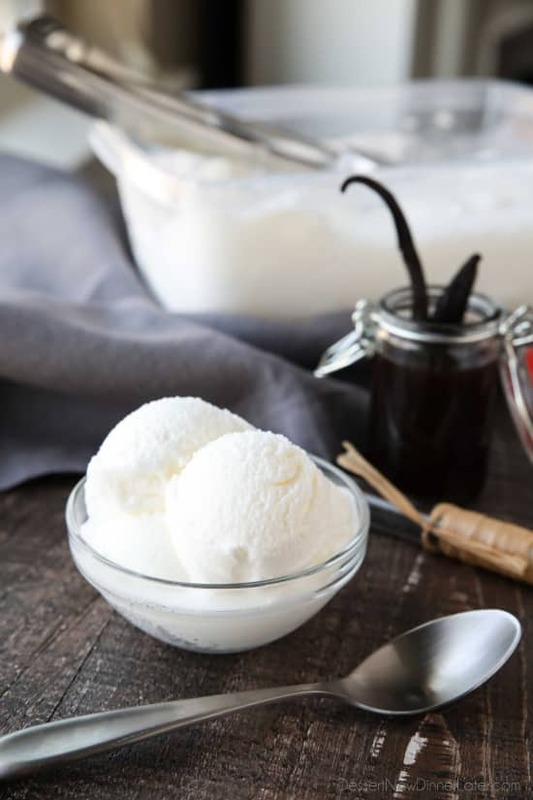 Easy Vanilla Ice Cream - Dessert Now, Dinner Later! *Thanks to Bosch for providing me with the mixer and ice cream attachment for this post. 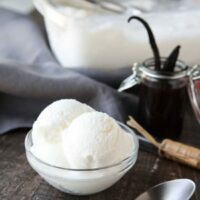 Easy vanilla ice cream made with or without cream (just milk). No eggs and no cooking required! The summer heat is on! With every day in the 90’s we are desperate to keep cool. So we’ve been playing with our new ice cream maker. It fits right inside of my Bosch Mixer. 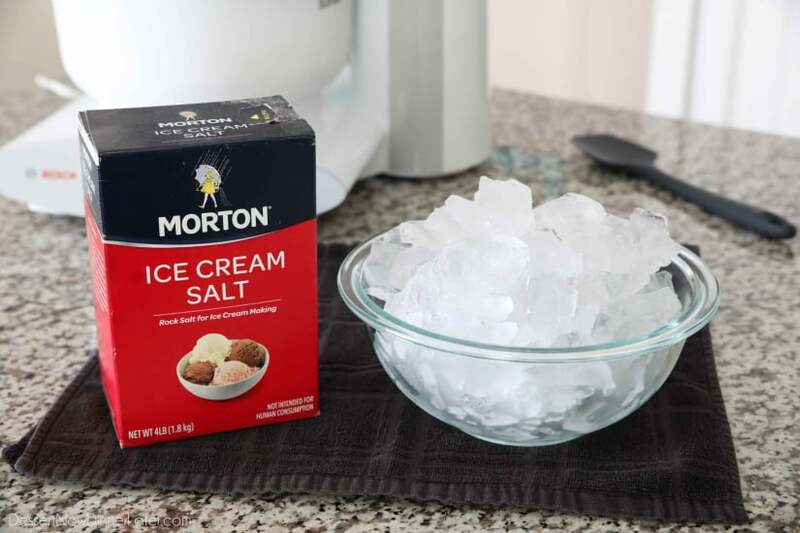 All you need is ice and rock salt to freeze your ice cream. I wanted to make ice cream with ingredients I have on hand at all times. So we used milk, granulated sugar, and vanilla extract for an easy vanilla ice cream. No eggs, and no cooking. 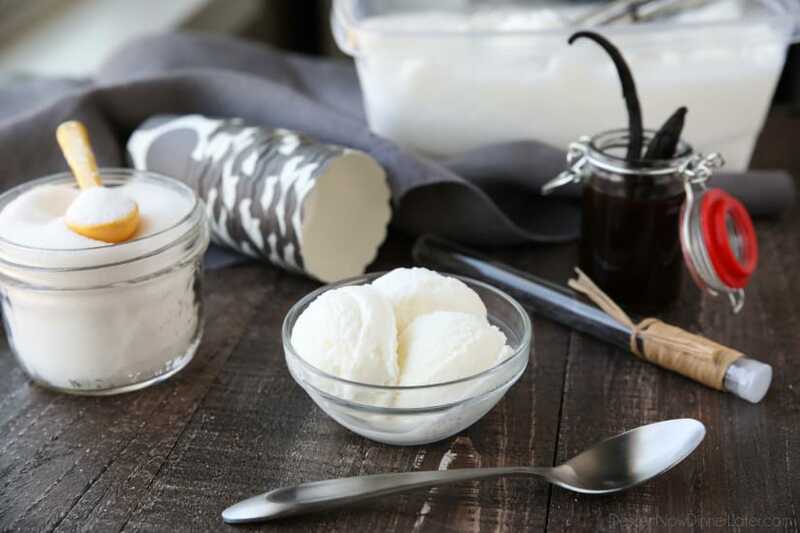 DISCLAIMER: Milk alone simply does not have the fat needed for a “creamy” ice cream texture. The texture is more like Italian ice. Think of it like powdery snow that melts in your mouth with the creamy taste of sweetened milk. We used whole milk, but any milk would work. Just keep in mind, the lesser the fat, the more icy the texture will be. We also tested Half & Half (half whole milk and half heavy cream) and it was slightly more creamy, but still not the texture of a custard based ice cream. 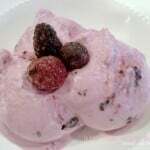 The creamiest non-fat version of ice cream that I have made is this Triple Berry Frozen Yogurt. Which is half skim milk, and half non-fat Greek yogurt. 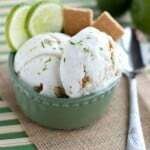 The texture is the closest to a custard based ice cream, which makes it a great alternative to full-fat ice cream. 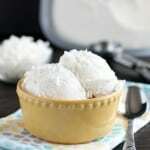 My kids are loving this easy vanilla ice cream right now. We add fresh fruit or crushed Oreos on top to make it extra special, but we’ve made 3 batches already and I guarantee we’ll be making more! 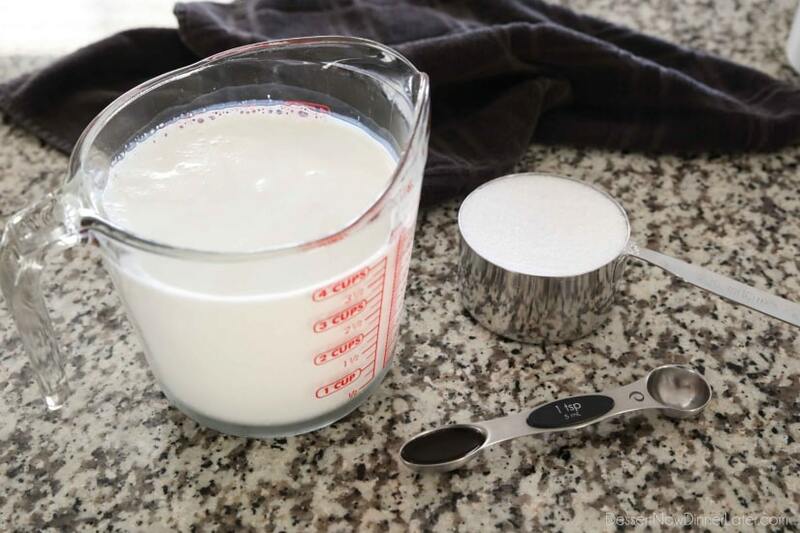 In a large bowl, whisk the milk, sugar, and vanilla together until the sugar dissolves. 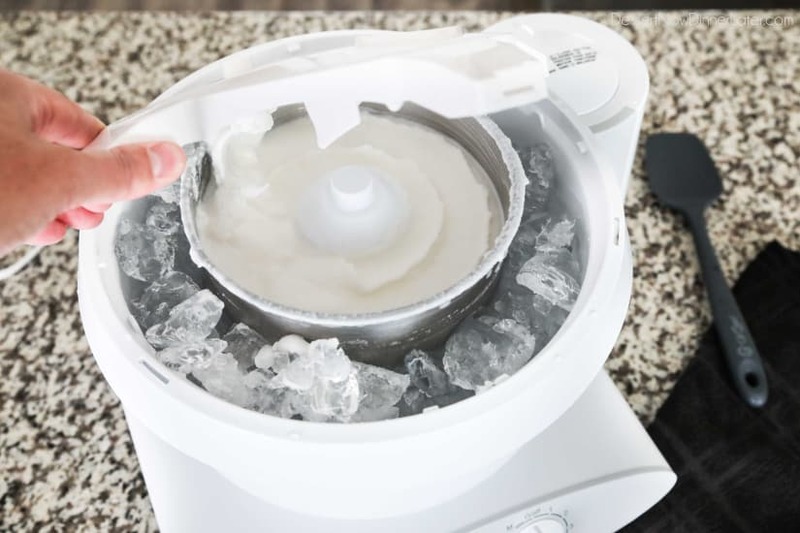 Pour into the bowl of an ice cream maker. Secure lid on top of the ice cream bowl. 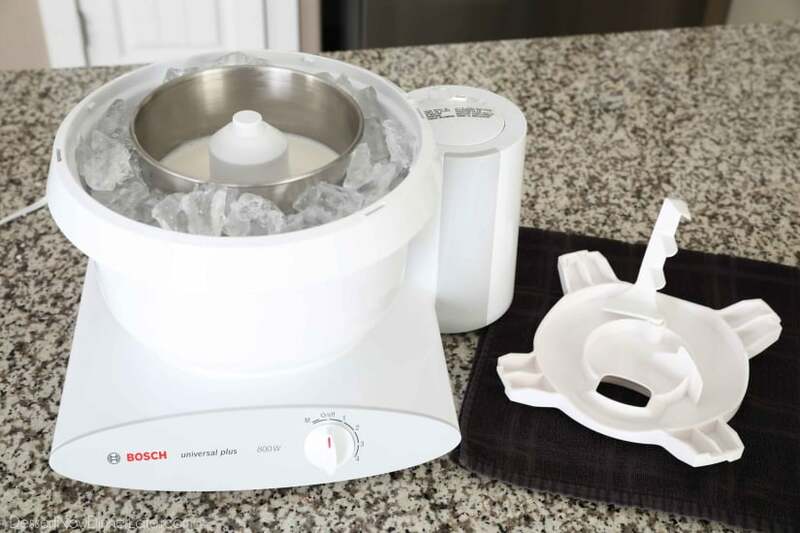 Process for 20-30 minutes or as instructed for your specific ice cream maker, adding more ice and salt as needed. Enjoy immediately as soft serve ice cream, or place in a freezer safe container and freeze 2-3 hours for a stiffer ice cream. NOTE: Since this is not a custard based ice cream, the texture is more like Italian ice. Think of it like powdery snow that melts in your mouth with the creamy taste of sweetened milk. 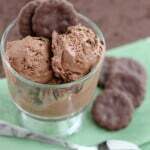 NO ICE CREAM MACHINE: Pour the mixture into a shallow freezer-safe dish and put it in the freezer. Stir every 2-4 hours once ice crystals form. 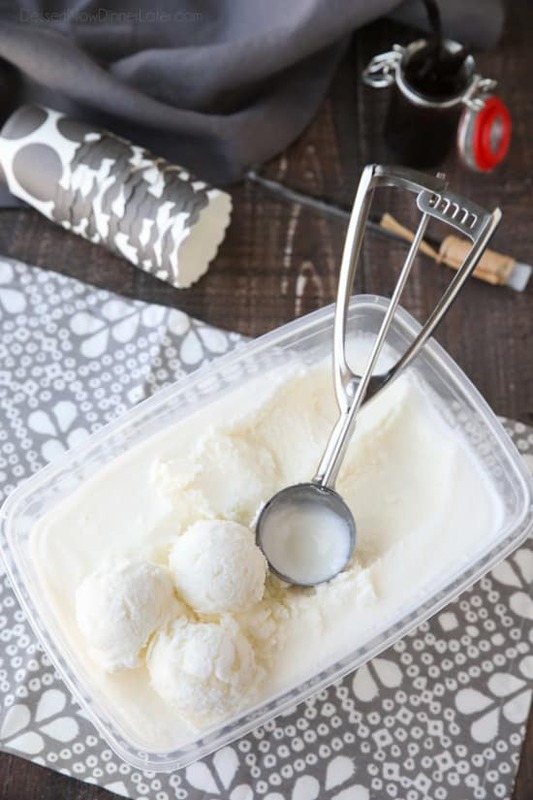 Tip: Use a fork or potato masher to scrape and fluff the ice cream mixture once it starts to solidify. *Half & Half (or half milk and half heavy cream) works well too.